I doubt if many of us knew that buying a PT Cruiser would vault us into a brand new lifestyle. But here we are. We that have banded together to enjoy our unique little cars in and around the place that we know and love as Sin City, Las Vegas. And we tag along with the regional and national PT Cruiser organizations (PTOC & PTCC) every chance we get. You see, to come cruise with us it doesn't matter where you're from - as long as you have a PT Cruiser and a love of the open road and good times with great people. We are a diverse group of individuals who may not agree on everything (like the best color for a PT Cruiser), but we agree on one thing - owning and driving a PT Cruiser is about as much fun as you can have legally. We clean 'em. We decorate 'em. We customize 'em. But mostly we drive 'em. We're nuts about driving these things! So, hey: If you're a PT Cruiser fan and you live in, around or near the Las Vegas area; you're welcome to join us. Check us out here on the website from time to time. We will post current activities and some pics from our recent events. If you like what you see, drop us an e-mail and we'll get back to you. There's always room for one more PT Cruiser in our club! 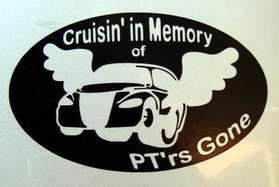 Our goal is to provide up-to-date information about the PT Cruiser Happenings and Cool Classic Car Events, create enjoyable events, and bring people together with two things in common, PT Cruisers, and having Classic Cars. We strive to benefit everyone with vendor links to local supportive businesses and to give back to these businesses by giving them our business. 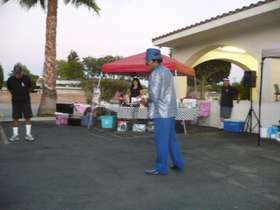 To give back to the community of Las Vegas by way of charitable events to raise money for that worthwhile cause. Do you like how it sounds??? Join us at the next event. If you have questions, send us and email at LVSpiderman@hotmail.com We look forward to seeing you at a future event! 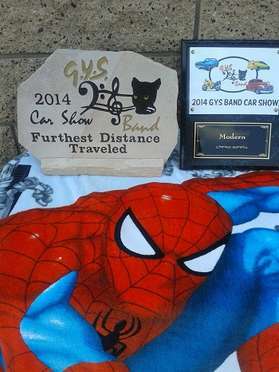 Attended the 15th Annual Culver Cty Car Show in Culver City, CA. Saw some old friends, made a lot of new friends. 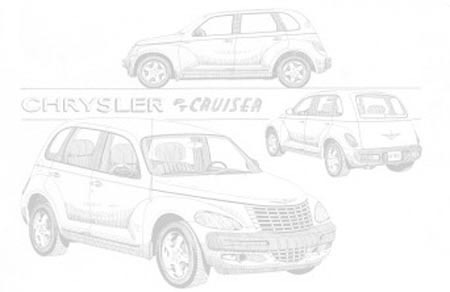 Looking to see you soon..
Chrysler and PT Cruiser are Registered Trademarks of the Daimler Chrysler Corporation. 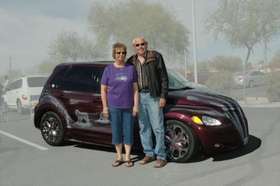 The PT N LV and it's Web Site are not affiliated with the Daimler Chrysler Corporation. The products and opinions expressed on this web site and sites linked to are not necessarily that of the PT N LV it's Web Site or Daimler Chrysler Corporation . The PT N LV and or DaimlerChrysler Corporation are not responsible for errors published on this web site. All information Copyright © 2004 PT N LV. All rights reserved. All photos, news stories, graphics and logos may be used or reproduced without written permission. The PT World had another great loss last night (2/14/14), Diane Wyatt Sanderson passed away. She was the President of the Mo-Ark PT Cruiser Club.